There are two GUIs that you can used to control OVP simulators. There is iGui and the Eclipse based eGui. If you need graphical source code debug and want it be very quick, lightweight, and efficient, then look at the Imperas iGui product. It comes with the main OVP and Imperas packages and can be started straight from the simulator command lines (see their --help). iGui makes use of GDB or MPD to control the simulator, and provides the normal GUI based debug experience. To try it out, look at the demos in Demo/Processors. 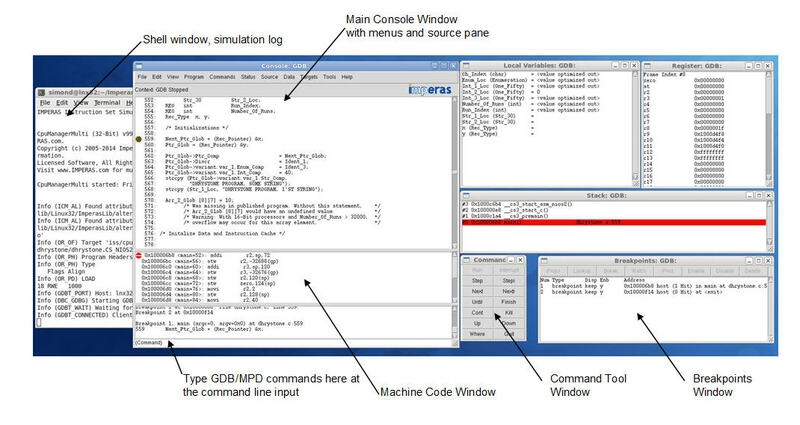 When using GDB or MPD you can run with the Imperas eGui, an Eclipse based GUI for controlling the simulation and debug of the embedded software. 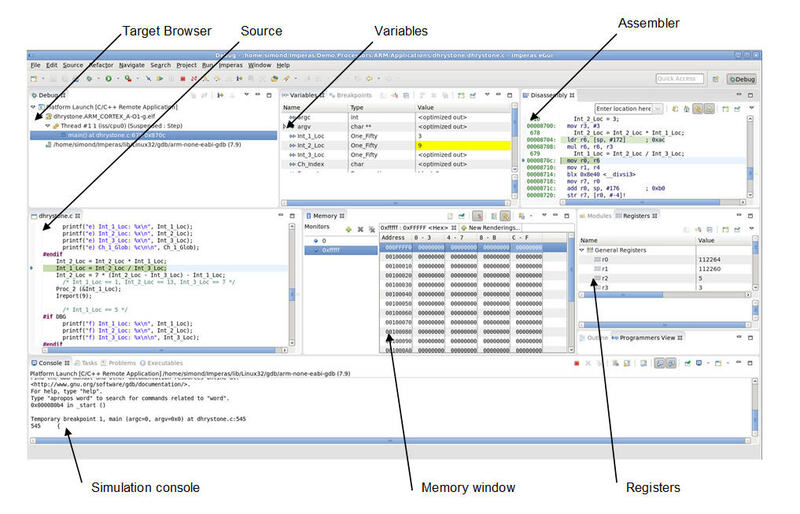 eGui has the normal Eclipse CDT style perspectives and windows, plus several specific to Imperas and Multi-Processor debug. eGui is provided as its own downloadable package from OVPworld. When you have installed it, try it out with the demos in Demo/Processors.